I have been modeling in Fases for years. After a 7 year break I decided to get back into the hobby during my last vacation. I started my own project (a RC Tamiya King Tiger) and one with my daughter... She will get 7 in october. Ofcourse I helped her but the most things she did by herself. Except the orange spots... thats daddies work trying to save some old paint . Nice fact... after she had finished her model she concluded it would have been better to paint the cockpit... well lets do that next model :-). She had full artistic license (I guess expert models will reckognize some AFV decals from daddys spare box..). Very nice work, my congratulations! Iam really proud on her and I hope she hangs on to the hobby! That's better than my first paint job! Congratulations to her! Nice looking build little lady. Your dad told me that he was going to buy you a Wing Nuts Wing model for your second. Well done and keep building. 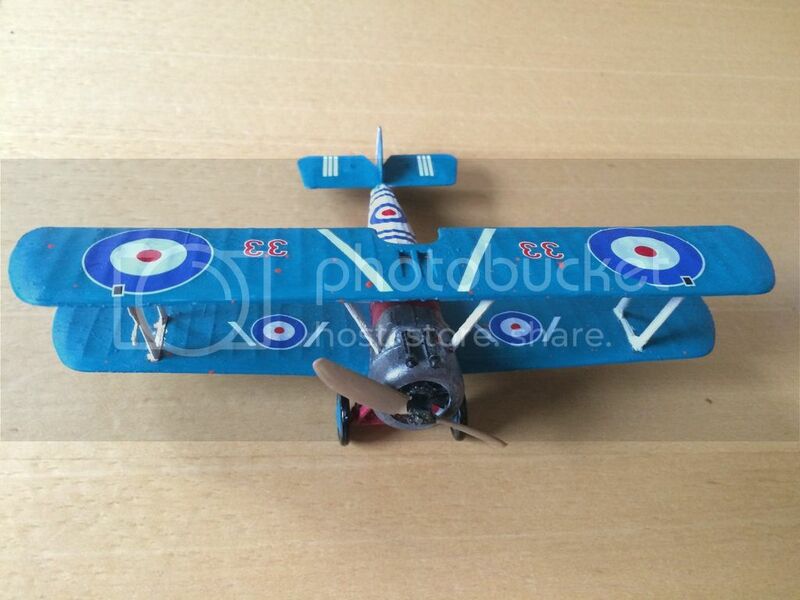 That certainly turned out much better than my first modeling effort when I was seven....I glued an Entex A-7(?) completely to the kitchen table. Anyway, great to see kids getting involved with the hobby. Best wishes and happy modeling. 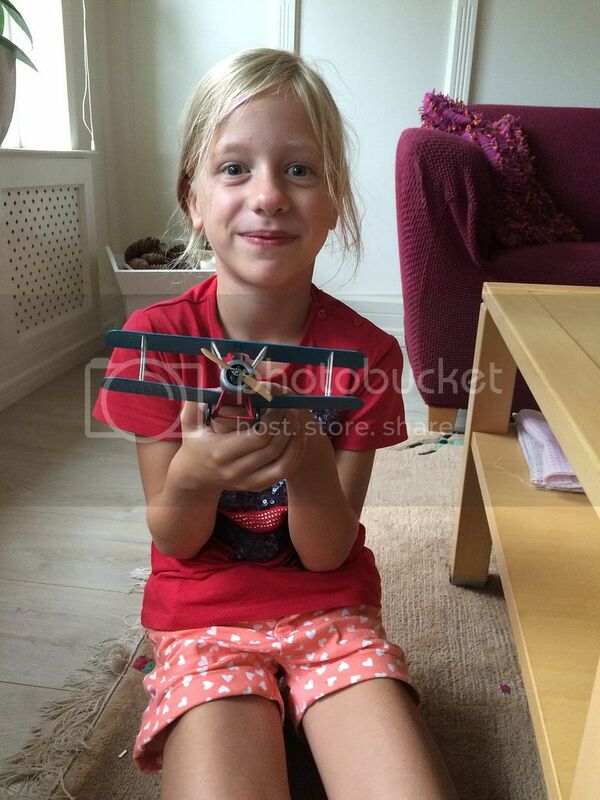 Lars, your daughter has built a nice looking Sopwith Camel. I can see the pride in your eyes and she looks happy also. Congrats to you both. Awesome first model! You should both be immensely proud. She did an exceptionally neat job of painting and decaling. I hope many more are to follow! Great build, I love it! It is always great to see the next generation entering into this great hobby, and this build should be proudly on display of all to see. just a super build. Congrats on becoming one of the youngest members of Aeroscale. That's a brilliant job! I can see a future prize-winner in the making! 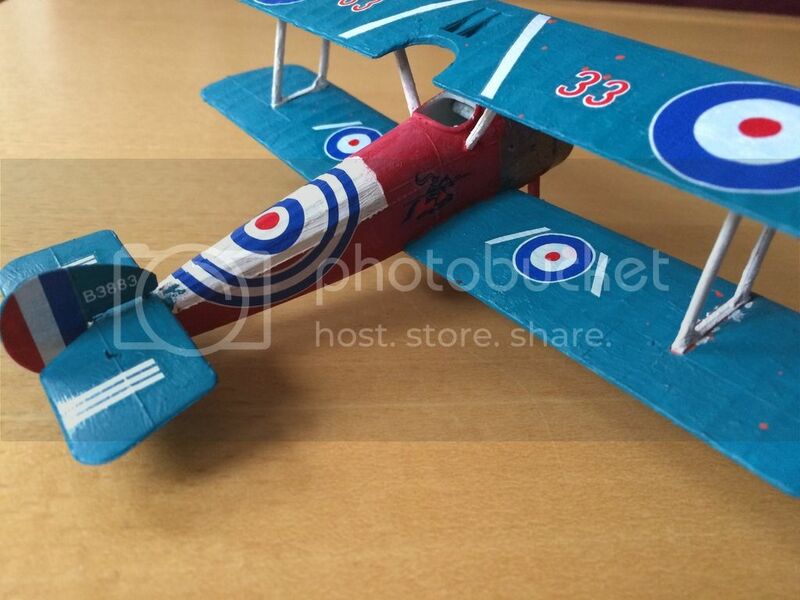 A biplane for a first??? She's brave!!! And congratulations on the resulting model; I wish my first job had been half as good.